The people of ancient Egypt, Greece, and Rome turned to chemical peels to help them get their most beautiful skin. While centuries of technology has allowed us to improve on their techniques and formulas, our Los Angeles facial peels and skin peel treatments are still one of the most powerful ways to reveal healthier skin. Peels are as tried and true as it gets. 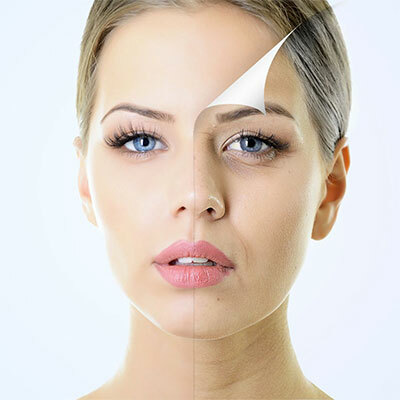 During a peel, an acid solution is used to get rid of the outer layers of the skin. These layers are full of uneven pigment and dead skin cells. What’s left is smoother, brighter, more evenly toned skin. Here are just a few of the people who might benefit from a peel. People with wrinkles. Underneath your top layer of skin, healthier, firmer skin hides. A facial peel can help you get rid of the top layer that’s keeping you from looking your youngest. A peel is a great way to reduce the appearance of fine lines and wrinkles. People with acne. The right peel can deliver anti-inflammatory nutrients to your skin while helping it control its oil levels. Because a peel will penetrate deeper than the topical treatments you use at home, it can help you get clearer, brighter, more even skin. People with stretch marks. Peels aren’t just for the face. Skin peels can help you target certain areas of your skin, like those with stretch marks, to reveal the healthier, smoother, more even skin that’s underneath the top layer. People with uneven skin. If your skin’s tone or texture leaves you longing for an even, smooth face, a facial peel can help. Hyperpigmentation and uneven skin texture is caused by your skin cells being harmed, whether by sun, allergies, simple aging, or other factors. Removing the damaged outer layer of skin can leave your face more evenly toned and textured. People with tired-looking skin. Did you know you already have the healthy, glowing skin you want? It just needs to be uncovered. 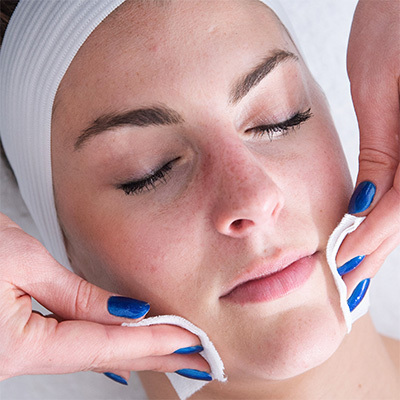 A facial peel or skin peel can help you get rid of the aged, dead skin cells that are covering your healthier skin so you can show off your best self. Part of the reason we’ve turned to peels for centuries is because they offer remarkable results without intensive recovery. The depth of your chemical peel treatment will impact how much time it takes your skin to recover from the peel process, but you can generally get back to your normal routine almost immediately. At Face of Jules, we customize your peel for you skin. We’ll set up a consultation in advance so we can identify your skin’s needs and talk with you about the results you want to see. We tailor the peel to give you your desired results, whether that’s the removal of wrinkles or scars, clearing your skin of acne, or just looking younger and more refreshed. During your consultation, we’ll discuss your options so you can choose a peel – and a price – that works for you. If you’re ready to set up a consultation for a facial peel or skin peel, contact Face of Jules today.